Written and performed by Joett, with Elisha Sukari on acoustic guitar, Got U On My Mind acoustic version was mixed and mastered by King Penn (KP) at Trackwriterz Studio in Atlanta, USA, and it is the new addition to Joett Music Publishing/ASCAP, USA song catalog. The pop version, performed by American singer Ty Ward, was produced by Ryan Matthews for Coded Sounds in Los Angeles, and is currently being pitched to major and independent record label A&R for placement. The songwriter composer duo also undertakes commissioned songwriting projects for artists signed to record labels in the United States & Europe. Of late, requests for advice and vocal tutoring online have been on the rise from all over Africa and now, even from North America. Thanks to the helpful articles that I publish on my blog and article directories online—not to mention my YouTube channel which seems to be doing the rounds considerably. That being said, the purpose of this article is to outline a really simple 3-step-plan to working with me online. And I will explain how, in just a moment. You may connect with me via WhatsApp, Viber and Skype. However, what with connectivity issues galore, it would be a lot easier to work in vocal training segments that offer you a more long-term solution, with the private vocal coaching online sessions with me being an addition to the foundation you get your end with my help. So here's the plan. First I’ll want you to acquire a collection of vocal training exercises to work with, the cost of which is about $97. These files come in male and female ranges, so you are to work with the files suited to your gender. Once you’ve download these files, alert me so I can recommend what exercises you should begin your vocal training with. Now, once you know what to do, send me a recording of the exercises so that I can hear what you’re doing. There’s no point in doing things incorrectly—that way you’ll never get any results. And so I have to check to make sure there are no mistakes with what you’re doing. You MUST download the training files to a computer. They're too large to download to your phone. Download the vocal training files here! 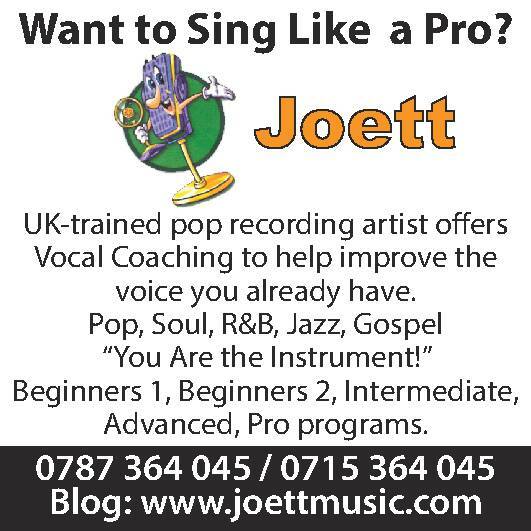 Once you’re chugging along nicely, I’ll want you to book a Private Vocal Training Session with me online, which I will conduct via Skype, WhatsApp or Viber. 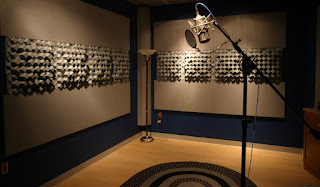 The call duration will be about 20 minutes per session and for a fee of only $6 per session payable via PayPal. And if you’re based in Tanzania, you can pay TShs 12,000 via Tigo Pesa (See left banner for Tigo Pesa details). Training doesn’t end in just one session. If you want your voice to grow and to stay at the top of your game, you must ALWAYS do the exercises on a regular basis. The most important thing is to KNOW what you’re doing, and to seek advice from me on a regular basis—AND to book the private sessions from time to time just to help you along. And so that’s all there is to it. Now that you have my 3 Step Plan to Vocal Training Success, let’s get to work! 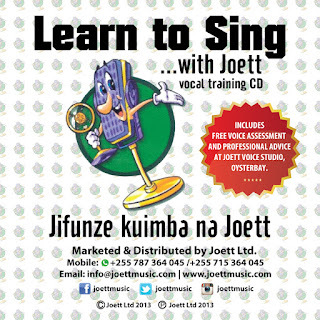 What I like about vocal training is that it is a practical business. No amount of theory will do the work—no-matter how detailed—unless you actually get down to doing the work. That being said, paying attention to instruction and listening to demonstration is the key to your success. There’s no point in allowing your mind to drift someplace else whilst you’re training, because chances are you will miss a thing or two. Unless of course you have been training for a while and so you’re already doing the scales with perfect form. This article will aim to show you the importance of understanding your voice, to truly become a great singer. I’ve met and trained the drifters. Oftentimes, they would come away with nothing because nothing seems to sink in. Yes, vocal training is a practical business but at the end of the day if you’re not even paying attention to practical instruction then what else can you expect. Here are a couple of details you need to pay particular attention to. You must hear the piano; your voice must respond according to what it hears in order to deliver those notes as it should be; and you must endeavor to understand the correct way of using your voice in tune with the music. Oftentimes I find myself saying, you must get inside the music and that you should avoid trying to simulate the notes you deliver to the piano. Instead, you must deliver them as they should be, with more of an edge sound and power behind the note. A simulated tone is more like trying to sound like the piano but not quite there yet. This sort of tone will allow your voice to fall apart unceremoniously—meaning you’re really failing to hold a note. Aim to deliver your notes with a fuller voice in speech level posture. In Summary: If you’ve heard the example, try and do it exactly as demonstrated. Don’t go out all guns blazing doing your own thing. Do it exactly as demonstrated. The only reason we do these vocal exercises is to help develop your voice. So stay in line. Make sure your chest voice is connecting to your head voice. That way you’ll develop a well connected speech level posture that’ll bring out your true voice in all its radiant glory. For more helpful articles on singing, make sure you browse and visit this blog regularly. Aside from the perils of incorrect use of voice when you sing, does your voice get tired and worn out even during regular speech? Are you sensing that your vocal chords are a bit corroded and that you’re sounding horse and you desire to stop speaking altogether to save your voice? This article is not specifically for singers. It applies to a far wider audience and I’m sure you will learn a thing or two. It happens to the best of us at times, when the voice is simply tired and could use a break. When you’re sensing the onset of vocal fatigue—for whatever reason—the best remedy is to drop a few octaves when you speak, as it does provide a great amount of comfort and relief. You should also take a thousand milligrams of effervescent vitamin C with a glass of water per day, to help neutralize the strain and pain in your voice. After a few days you’ll likely feel a lot better and your voice will begin to return to normal. That being said, finding out the cause of your vocal pain and strain is most important for the long term health of perhaps one of your body’s most important organs—your voice. People fall into all sorts of situations that bring on incorrect vocal management, so what’s key is to find a more permanent solution. And this will surprise you. You don’t have to be an aspiring singer to go for voice lessons. 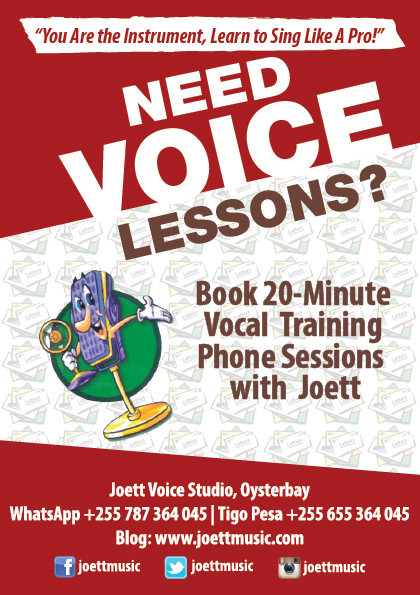 Politicians, public speakers, radio and TV presenters, MCs, telemarketers and business people alike could all benefit immensely from vocal training to correct the way in which they use their voice, for their own wellbeing and prosperity in their careers. In Summary: if it so much as hurts when you talk, then something is definitely wrong in the way you use your voice. All manner of professionals who depend on their voice to advance in their careers will find how beneficial a bit of vocal training can be in helping them achieve their dreams. It only takes a few lessons for one to discover the difference it makes to your voice. So the next time you’re experiencing such irritating symptoms, consider voice training if your life and career depend on it. Should you be interested in finding out more on this topic, there are plenty of resources and professional advice available on this blog. So spend a little time to browse. Indeed, quite an off the beaten track topic this is, but I’ve been inspired to write this article because I know it can help a lot of people come to terms with how important it is to take up singing lessons not to prove themselves to anybody, but to do it for themselves. Some particular cases emanating from my studio have made me realize how a self inflicted burden such as this can affect a pupil. So let me explain the thought processes that run through such an individual’s mind, and how that affects their performance and concentration in class. The crux of the matter is, one taking up singing lessons to prove to someone else or a group of people that they have the potential to become good singers, instead of that being a source of motivation to achieve what they signed up for, it tends to lay a huge burden upon them that constantly distracts them from focusing. Through the lesson, I have observed, that I repeat myself on countless occasions. The pupil, I find to be eternally self conscious and lacks the confidence to perform well. When I dig into the probable cause of this, I find that there’s someone or some people waiting to see HOW they fair. Now this puts a lot of pressure on them to deliver because they’re constantly worried about failure. And the end result is they DO fail miserably because they’re way too distracted to concentrate on learning. It becomes a state of constant fear and panic. Not a pretty sight. If anything, it is very annoying. So here’s the deal. You want to learn to sing? Do it for YOU. Do not get into this to prove anything whatsoever to anyone in your circle of friends or elsewhere. (In any case, why would anyone want to do that?) If you hadn’t read this article you wouldn’t have discovered that it actually works against you. You’d be better off not taking singing lessons at all. Wouldn’t you agree? The ideal student of voice is one that wants to do it to improve their voice for THEM rather than for anybody else. And this type of student steps into class looking forward to the lesson and enjoying the therapeutic qualities of the lesson. Just the other day, one of students said to me “I really feel relaxed when I come here. This is a form of therapy. And looking out the window, your garden is so beautiful it adds to the calm.” So there you have it! If you want to enjoy your singing lessons AND come away with something, take a more relaxed approach. The less outside pressure you impose upon yourself the better. So be sure to leave your burden at the door, and enjoy the lesson.